Worley Real Estate Group specializes in the North Myrtle Beach area, we sell houses and condos that can be used as your primary residence, vacation home, or as an investment rental property. We also list property for North Myrtle Beach homeowners who want to sell, and professionally market and promote it to prospective buyers. Sellers love working with us because our transparency and truthfulness. Listing property in North Myrtle Beach requires competitive pricing and up-to-date analysis of the real estate market, and each of our agents use this research to better serve our seller clients. We market all of our listings through the Multiple Listing Service (MLS), mass email communication with area buyers’ agents, several top listing websites, attractive advertising and signage, flexible showings and open houses, and aggressive follow-up with interested prospects. Working with buyer clients, our highly trained and educated agents put their expertise to work in order to locate prime property and then negotiate a fair price. We can also share our knowledge of the rental market with buyers looking for the best return on their investment. 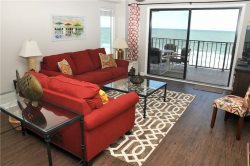 As demand grows for quality vacation rentals and more families visit the Grand Strand, now is a great time to purchase an investment property in North Myrtle Beach. Contact our licensed sales professionals at 877-287-2977 today for more information about taking the next step towards making an investment in one of the best vacation destinations in the country! Whether you are looking to buy or sell property on the Grand Strand, we are ready to get to work for you. Learn more about our team and contact us today!